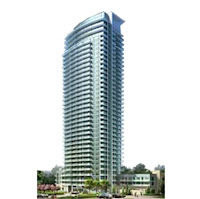 The Sales Centre for Fuzion condos held its Grand Opening to the public last weekend. The project will be located near King St West, just north of Liberty Village. For more details, please click here to access the Fuzion page. 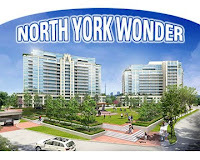 Metro Place will be located at the NW corner of Sheppard Ave W and Allen Rd. For more details, please click here to access the Parkside Towers At Metro Place page. Do your windows need a little pick-me-up? Window treatments can change the entire ambience of a room, and the proper treatment can be the perfect finishing touch for your space. Unfortunately, custom window treatments can be quite an investment - even for a small condo - and impractical for many homeowners and tenants. If you're looking for an easy and affordable solution for your window woes, read on! 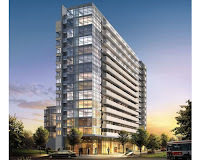 The LiveHigh Team recently visited the Sales Centre for Ice / Ice2 Condominiums At York Centre. The project will be located on York St, near Maple Leaf Square, the ACC and Union Station. For more details, please click to access the Ice Condominiums and Ice2 Condominiums pages. In our neverending quest to find interesting and relevant information for our fellow condo enthusiasts, we've come across numerous websites which address some of the most commonly asked questions about the Condo Act, regulations and by-laws. This is a popular topic for many condo owners and potential buyers, and we hope to shed some light on the matter by sharing these resources here over time. 3. There is excessive noise coming from my neighbour's unit late at night. What are my rights? 4. I purchased my new condo from Developer plans and now that I have moved in the square footage is smaller than outlined in the plans? What can I do? 5. How long do I have to continue paying Occupancy Fees? Isn't there a timeframe by which the Turnover meeting has to take place? Click here for answers from the experts and more from the CCI. The LiveHigh Team recently attended a Loyalty Event for Minto775. 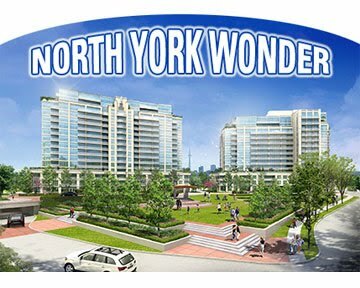 The Sales Centre hasn't yet officially opened, but the project will be located at 775 King St W, just west of Bathurst. For more details, please click here to access the Minto775 page. As we all know, the provincial government has now passed legislation to combine the 8% Provincial Sales Tax (PST) with the 5% Federal Goods and Services Tax (GST), creating a 13% Harmonized Sales Tax (HST) that will apply to all goods and services in Ontario. While all services provided in Ontario will be universally affected by the new single sales tax, we'll focus on how the HST will affect typical real estate transactions and services for buyers, sellers, condo owners and renters. We'll also take a look at some important transitional rules to be aware of leading up to its implementation. For information, please follow the jump.